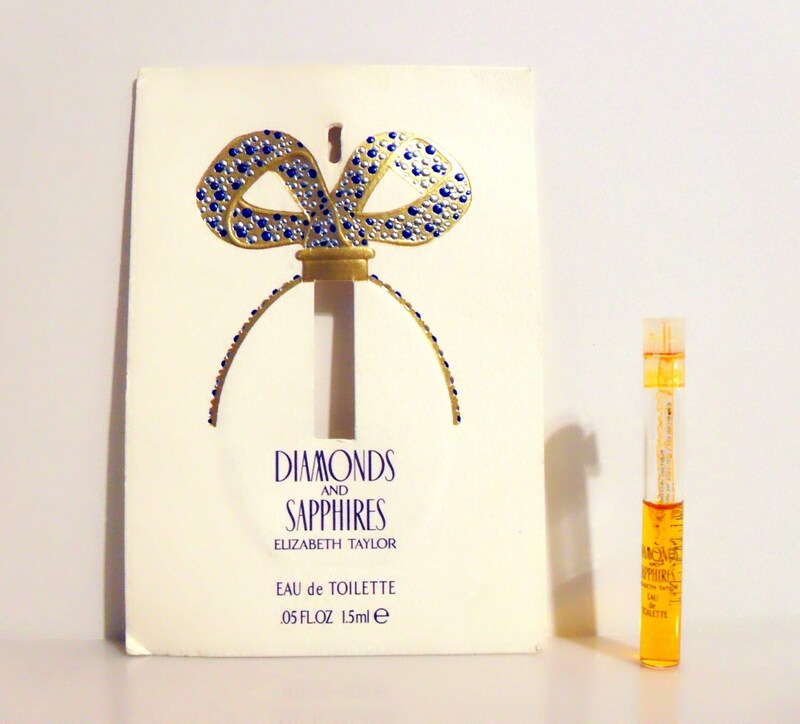 Vintage 1990s Diamonds and Sapphires by Elizabeth Taylor 0.05 oz Eau de Toilette Splash Manufacturer's Sample Vial on Card. It is classified as an aquatic fruity floral fragrance for women. The perfume was launched in 1993.